NASA has just announced the two proposals that have been selected for the creation of multi-disciplinary, university-led research institutes focussing on the development of the technologies that will be critical to extending human presence deeper into our solar system. These new Space Technology Research Institutes (STRIs) will bring together researchers from multiple disciplines and organizations, collaborating on the advancement of technologies in bio-manufacturing and space infrastructure, with the goal of creating and maximizing Earth-independent, self-sustaining exploration mission capabilities. As NASA shifts its focus from low-Earth orbit to deep-space missions, the encouraging development of technologies that allow long-duration mission crews to manufacture products they need, removing the need to rely on the current practice of resupply missions from Earth. The CUBES institute will advance research into an integrated, multi-function, multi-organism bio-manufacturing system which will produce fuel, materials, pharmaceuticals and food. While the research goals of the CUBES institute are to benefit deep-space planetary exploration, these goals also will also lead to practical Earth-based applications. For example, using carbon dioxide as the base component for materials manufacturing will have relevance to carbon dioxide management on Earth. Affordable deep space exploration is going to require transformative materials in order to manufacture next-generation transit vehicles, habitats, power systems, and other exploration systems. These materials will need to be lighter and stronger than anything currently used in even the most advanced systems. US-COMP plans to develop a carbon nanotube-based, ultra-high strength, lightweight aerospace structural material within the next five years. Success in this endeavor will bring about a critical change to the design paradigm for space structures. 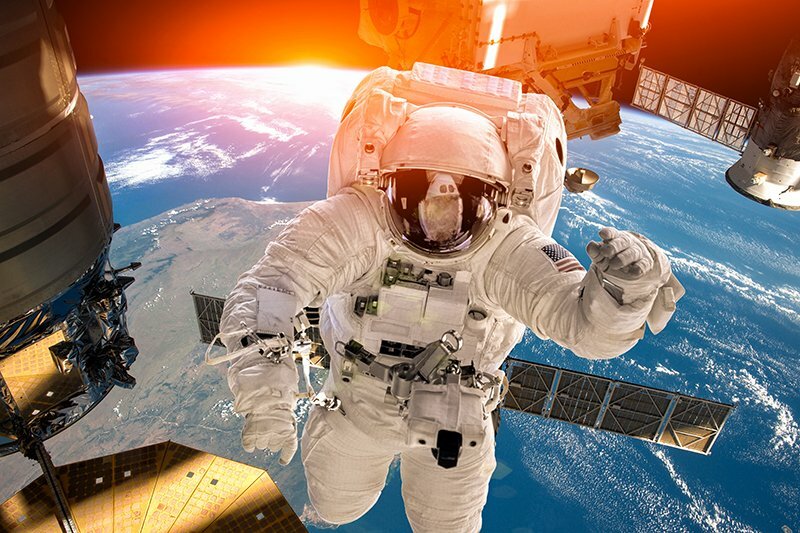 Through collaboration with industry partners, advances in laboratories could quickly translate to advances in manufacturing facilities that will provide these advanced materials to use in NASA missions. The results of this research will also have broad impacts on society. Rapid development and deployment of the advanced materials created by this research could support an array of applications on earth, and benefit the U.S. manufacturing sector. US-COMP is a multidisciplinary team consisting of 22 faculty members and is led by Gregory Odegard, principal investigator at the Michigan Technological University, in partnership with Florida State University, University of Utah, Massachusetts Institute of Technology, Florida A&M University, Johns Hopkins University, Georgia Institute of Technology, University of Minnesota, Pennsylvania State University, University of Colorado and Virginia Commonwealth University. Industrial partners include Nanocomp Technologies and Solvay, with the U.S. Air Force Research Lab as a collaborator. These awards are funded by NASA’s Space Technology Mission Directorate, which is responsible for developing pioneering, new technologies and capabilities that will be needed by the agency to achieve its current and future missions.